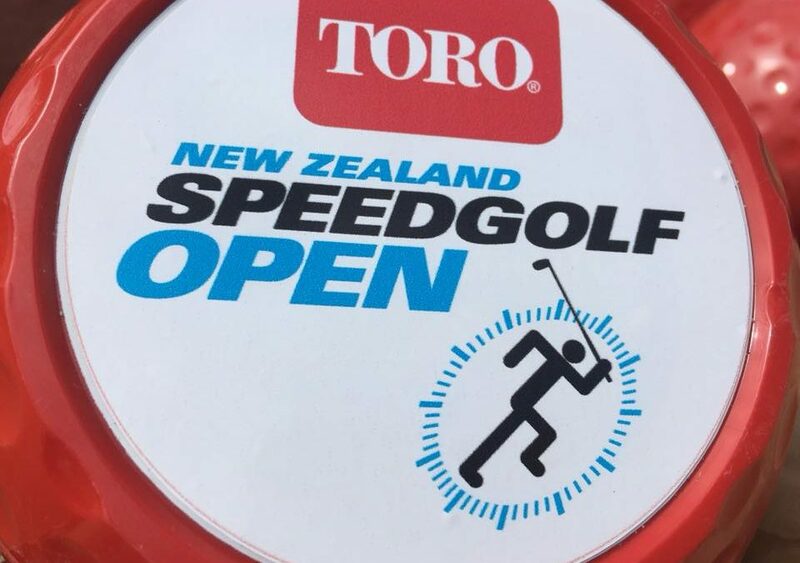 The 2018 TORO New Zealand Speedgolf Open was played at the impressive Windross Farm course producing one of the closest finishes the sport has seen. Former Taranaki representative Jamie Reid won his first national title by just 21 seconds over NZ PGA professional Josh Longney, illustrating just how important it is to still put a good golf score together while running at a quick pace. Reid started the final day in third place, 10 seconds behind Longney and one minute and 23 seconds behind overnight leader American world #2, Wes Cupp. Reid continued his consistent golf with a repeat score of 77 but his run time of 45 minutes and 25 seconds was the fastest of the day and proved to be the difference in catching and passing both Longney and Cupp. The format combines gross score plus the time to play and the Windross Farm course proved to be an ideal venue. During the two days the lead changed regularly with the top three finishing within a total of 3 points, with golf scores and running times very similar. Susan Farron, the former President of the NZ PGA, was a very welcome entry to the championship. A former tour player and now marathon runner, Farron was competing in her first Speedgolf tournament. Golf scores of 79 and 78, completed in 56 and 57 minutes, was good enough to win the women’s championship by five points over visiting American Lauren Cupp. Thirty-nine enthusiastic speedgolfers started the competition, which featured three Americans, four Australians, six women and four professional golfers. Phil Aickin, both competitor and tournament director for the weekend, scored 75, 77 averaging 59 minutes to win the over 50 division. The supportive and family atmosphere was also something to celebrate!